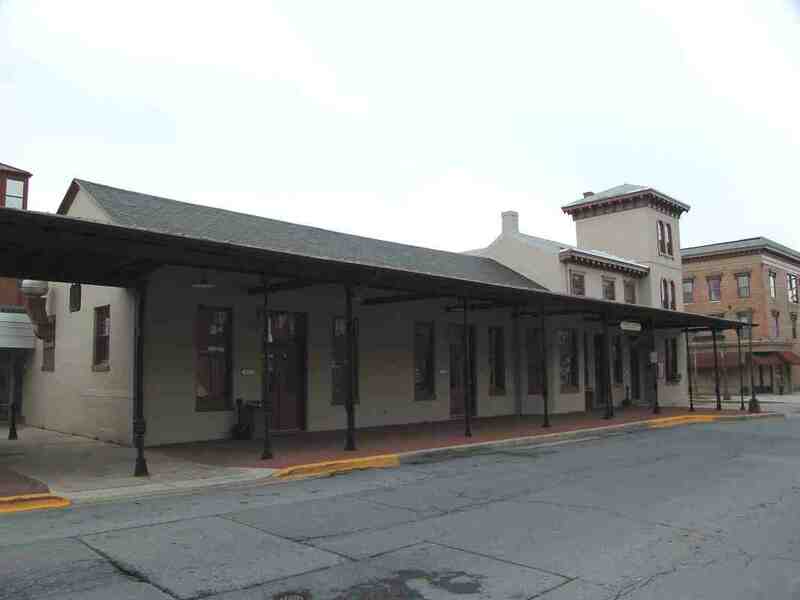 In 1830, the town of Frederick, Maryland very much wanted to be on the main line, and had invested in the B&O accordingly, but the railroad decided to build an easier route through the valley to the south. 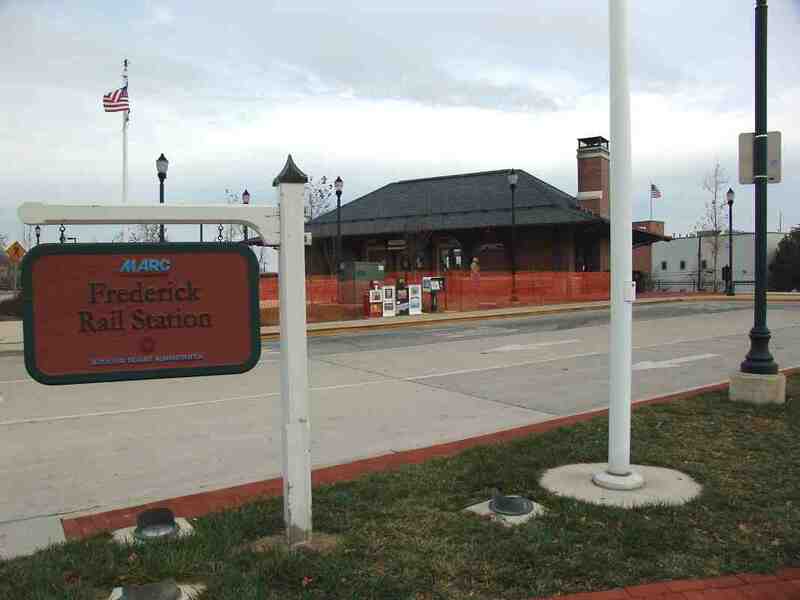 Frederick thus wound up as the country's first branch line town. 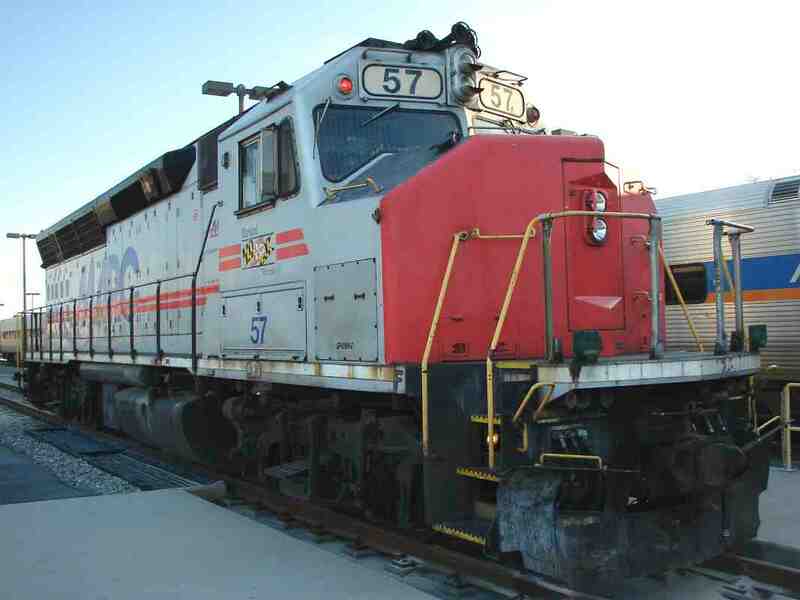 During the almost two centuries that followed, though the branch has witnessed many changes, it has never fallen into disuse, thus making it the world's oldest railroad branch in continuous service. 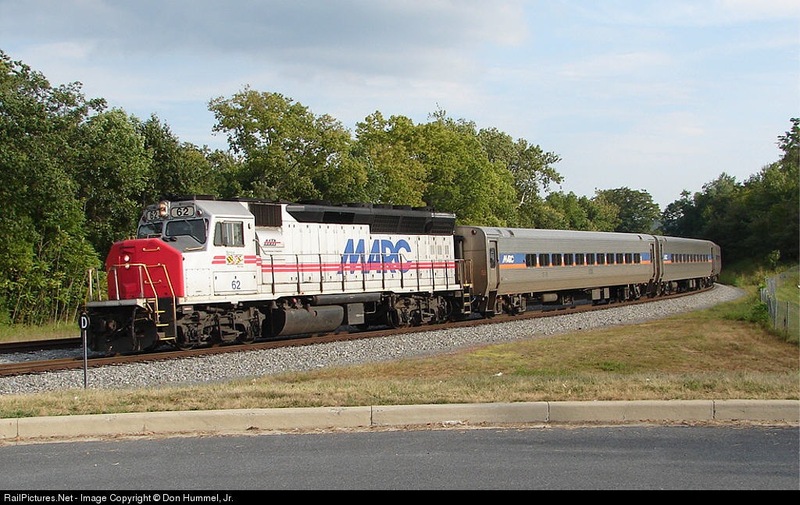 Though freight continued to roll, passenger service lapsed for about 50 years until resuming in 2001 under the Maryland Area Rail Communter (MARC) name. 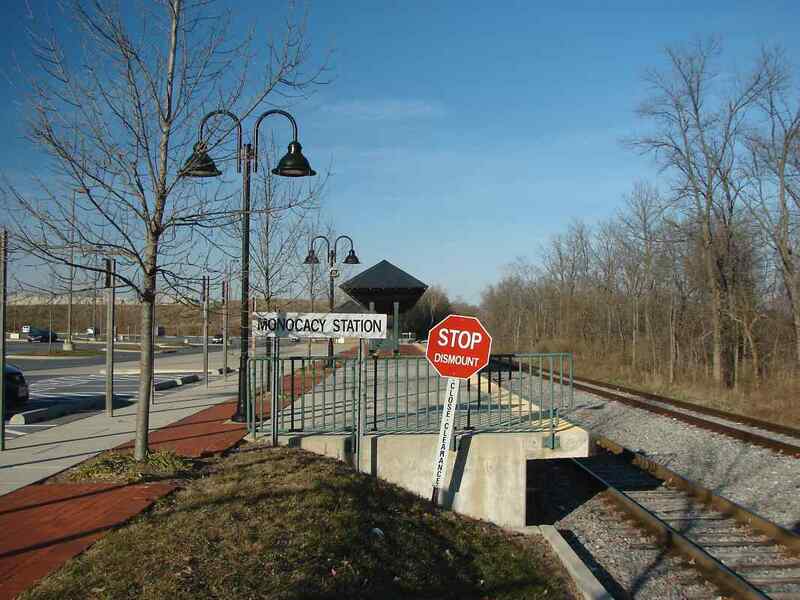 To accommodate people once again, the line was upgraded with new equipment, stations and signage. 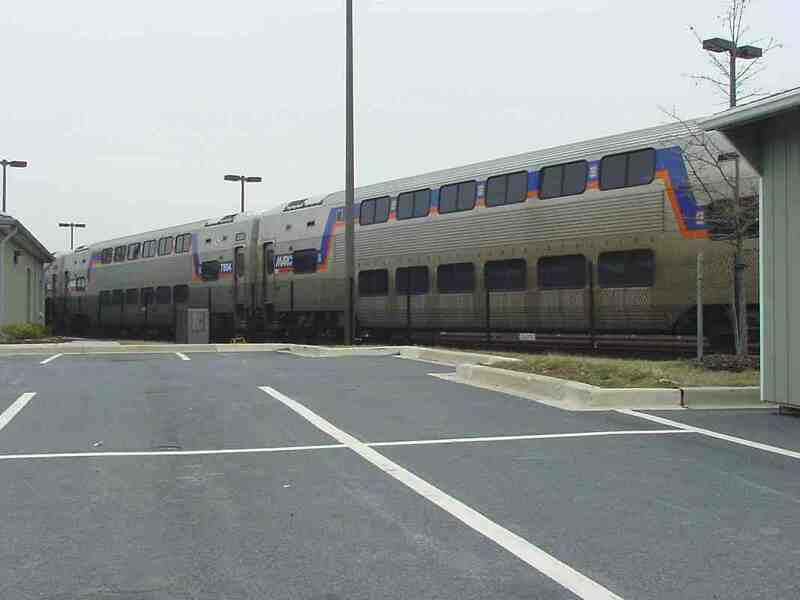 As a consequence, the 3.5-mile-long Frederick Branch provides a way to compare and contrast 21st Century railroad construction with that of the two prior centuries. 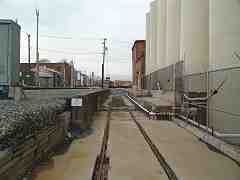 This tour progresses generally north from Frederick Junction to downtown Frederick. Special thanks to the Hiteshews for generously contributing most of the photos. 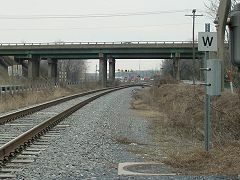 The B&O main line, now CSX Old Main Line, crosses in the foreground, with wye trackage peeling off to the right (north) for the Frederick Branch. Because this was a significant switching location, the B&O put a station here, and called it Frederick Junction. There was not -and still is not- significant population or industry in the immediate vicinity, so I doubt the station was ever very busy. However, for a few years there was other substantial action in this area. The American Civil War's Battle of Monocacy raged here in 1864, and the B&O's bridge over the nearby Monocacy River was destroyed and rebuilt several times during that war. 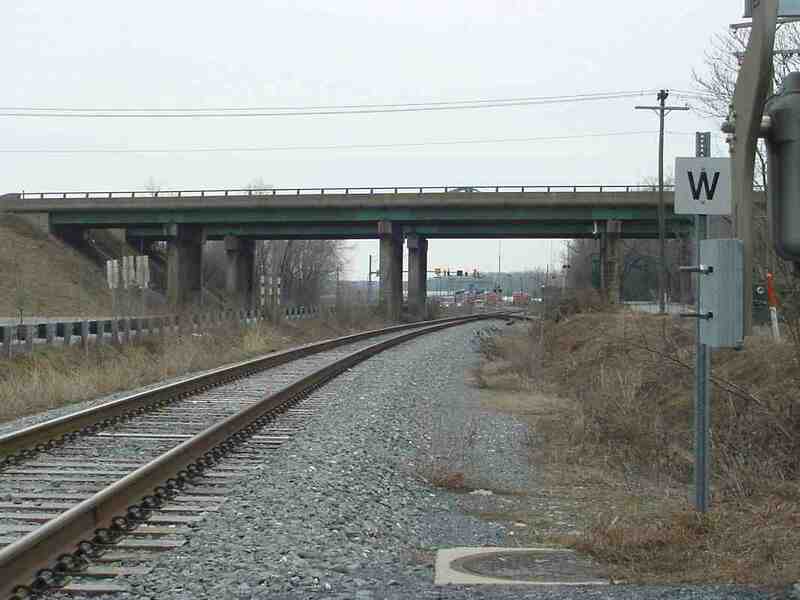 This location was also known as Monocacy Junction. This photo looks across the Y made between the OML and branch. The Frederick Junction Station sat within the Y near the lonely utility pole at photo center. 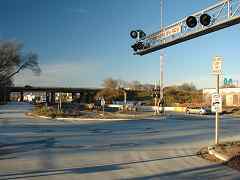 In 2001 CSX upgraded and updated their freight trackage on the Branch to support MARC passenger standards. 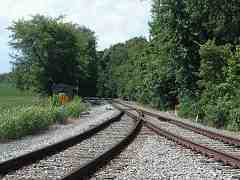 One change was the addition of a new derail at the wye. 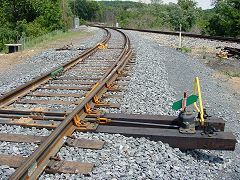 A derail is safety measure to cause a runaway train or car to run off the tracks and stop rather than roll onto the main line where a collision could then occur. 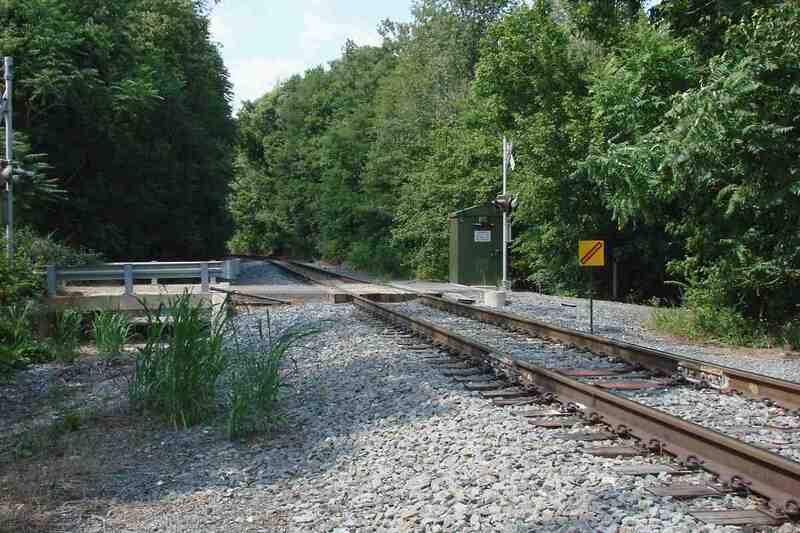 This new derail switch where the branch meets the OML was installed just days before the photo. 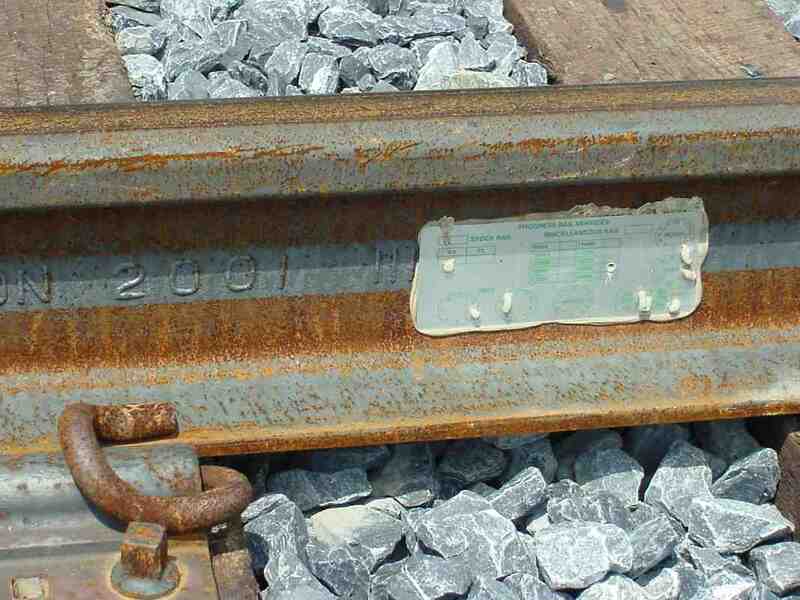 The steel rail dates to March 2001, and the sticker says "Progress Rail Services Miscellaneous Rail" and gives a manufacture date of May 2001. At the north end of the wye, the speed limit sign reads 30/25. 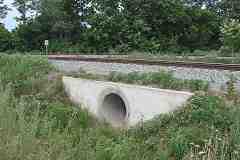 No cut stone blocks here... 21st Century culverts are iron/concrete pipes. A farm's small grade crossing gets its own small bridge over the drainage channel adjacent to the tracks. 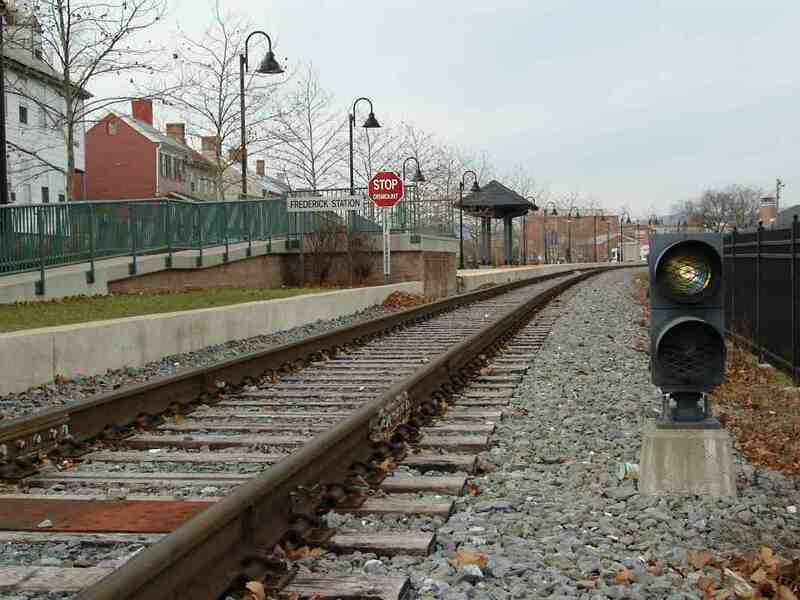 Modern grade crossing signals are equipped with larger lenses. The big red eyes give them a demonic expression, like that of a haunted Furby toy. Apparently engineers determined this is an erosion-prone area, so they called for a concrete trough for runoff. 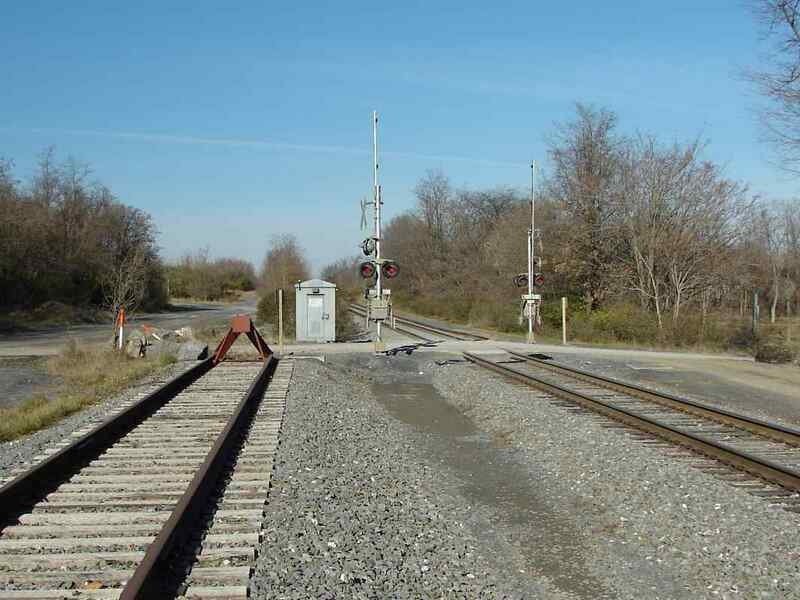 I've not seen this elsewhere along CSX alignments. 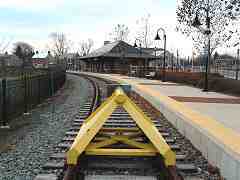 The track splits here because a passenger station is a short distance ahead. 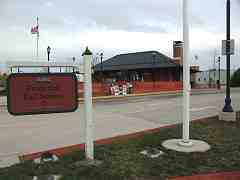 The autos are in the station's parking lot, and beyond them in the distance are buildings of Francis Scott Key Mall. 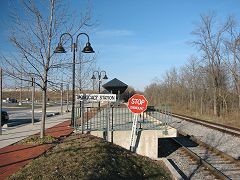 Per the signage, the Branch's milepost prefix is BAX; CSX typically employs three-letter prefixes for its minor branches. Monocacy Station is a creation of MARC; the B&O did not have a station here. The STOP DISMOUNT sign puzzles me. For whom is it intended? Train crews? Passengers? People on bikes? Equestrians? Inquiring minds want to know. 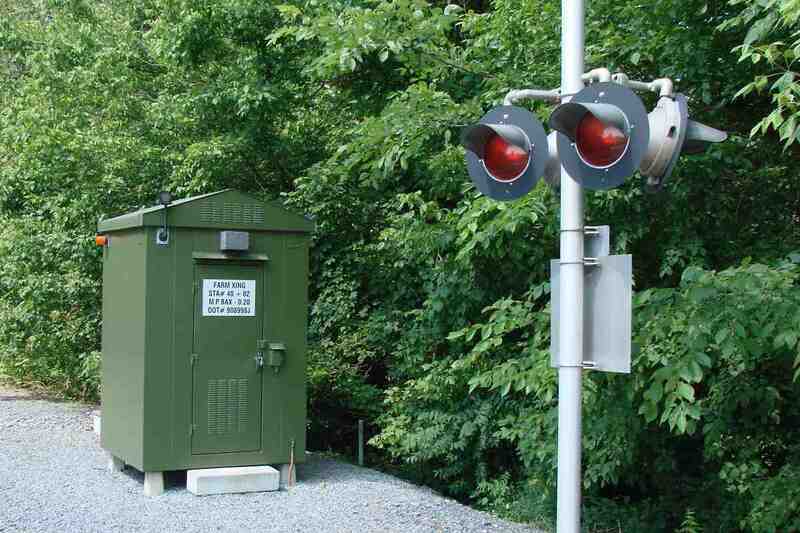 "The sign is for CSX train crews to warn them of a 'Close Clearance' situation. 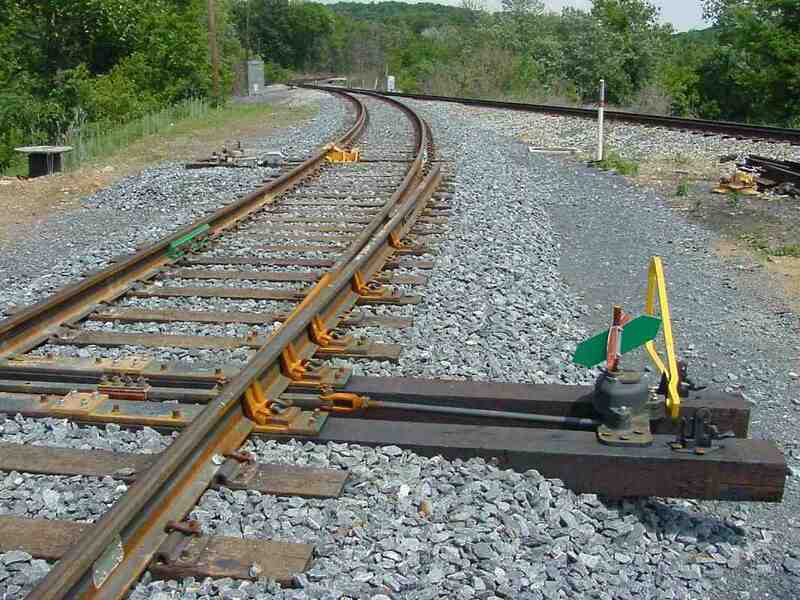 They must stop and get off the equipment before proceeding because the side clearance is less than standard (9 feet from centerline of track to the face of any obstruction; here it's a passenger platform)." 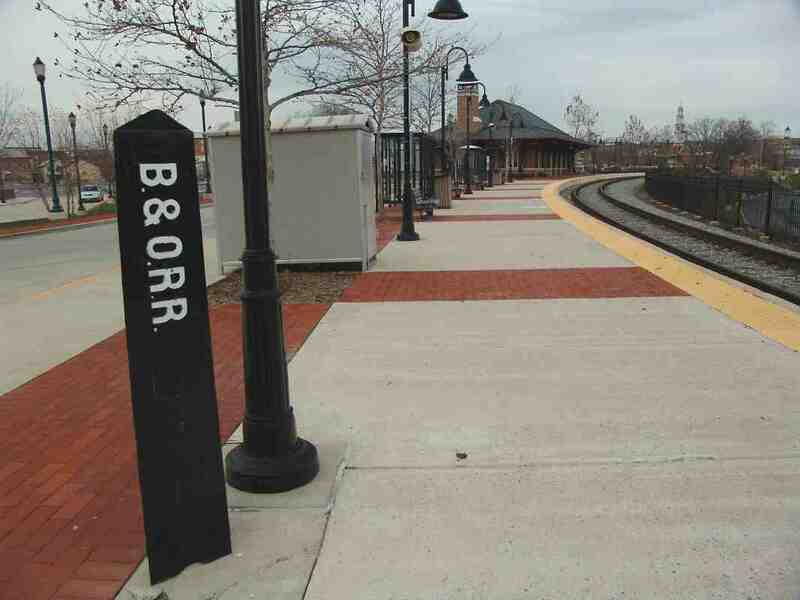 Kudos to the architects of Cochran, Stephenson & Donkervoet, Inc. for echoing the design of a small B&O station. This structure is an attractive combination of function and railroad history. 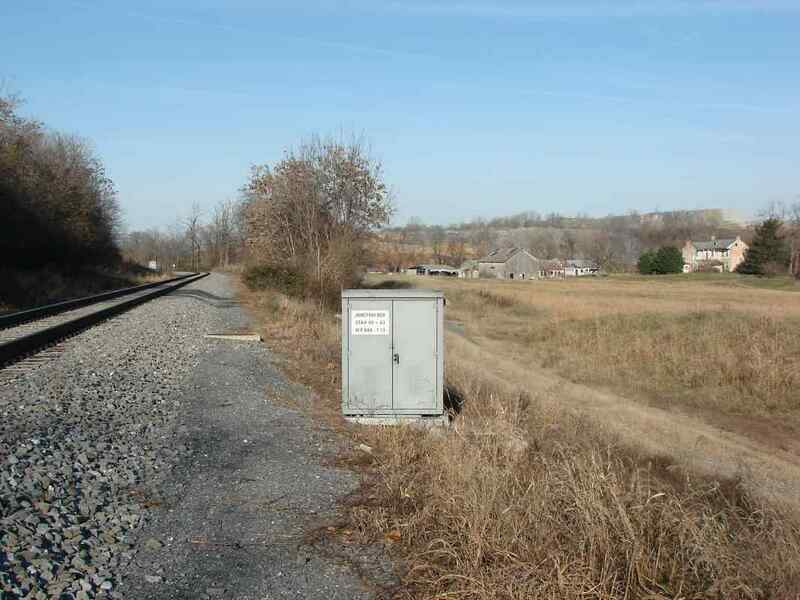 North of Monocacy Station the Branch encounters terrain of old farms and some industry. 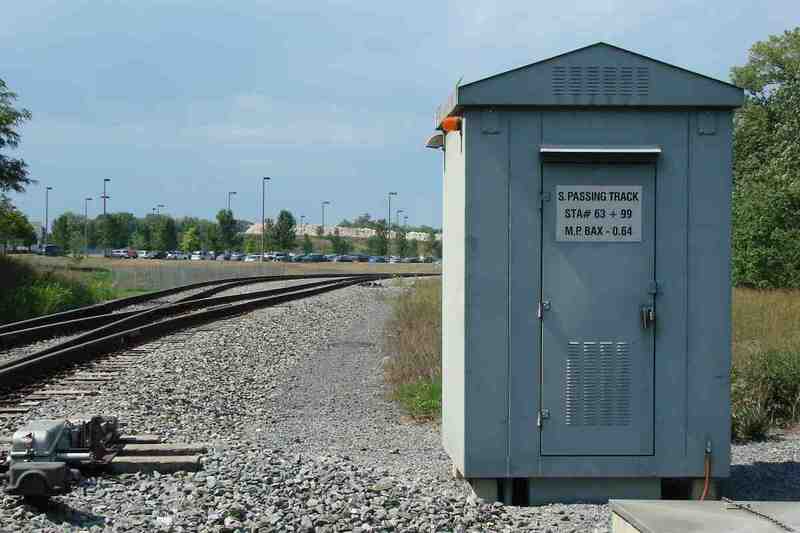 As illustrated by this junction box, 21st Century standards include detailed labelling of trackside equipment. This is the first of four Genstar grade crossings. Genstar, a division of LaFarge, quarries stone at several locations around Maryland, one of which is adjacent to much of the Frederick Branch. The rusty siding hosts trains infrequently. 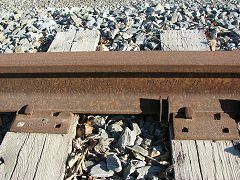 The siding's track reveals a manufacture date of February 1944. 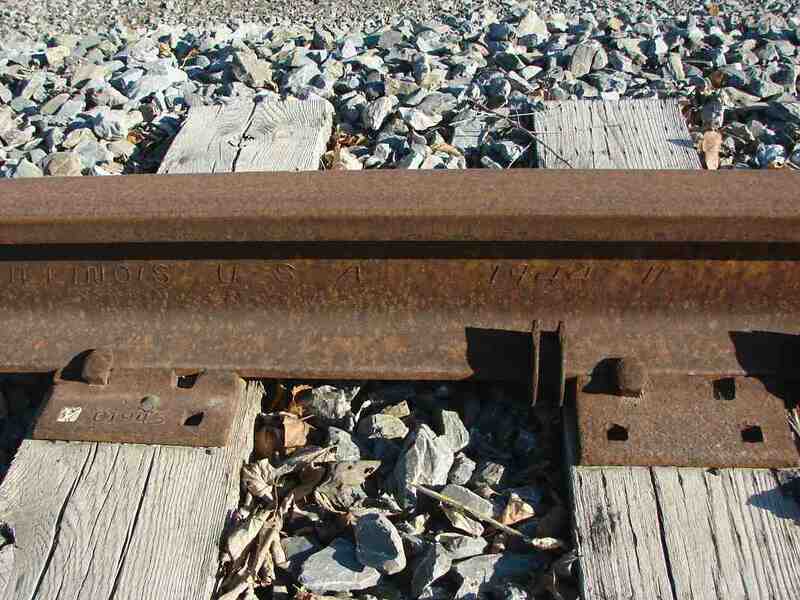 During World War II metals were in short supply, so using some for rails demonstrates the importance of railroads. 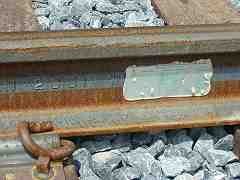 D-Day was still four months away when this rail was forged. 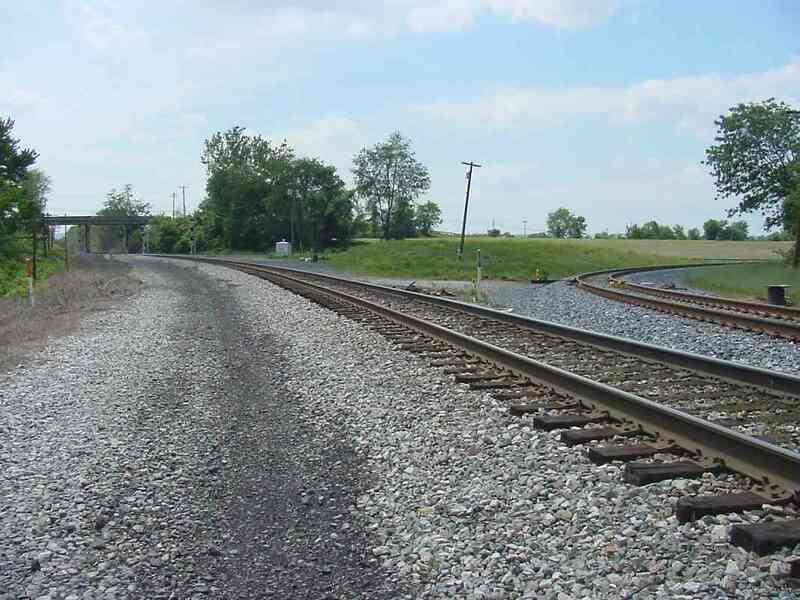 Whether this track was laid in 1944 is less clear, but it may have been since basic building material like Genstar's stone was also important to the war effort. This satellite photo shows Genstar's quarry left (west) of the Branch tracks. 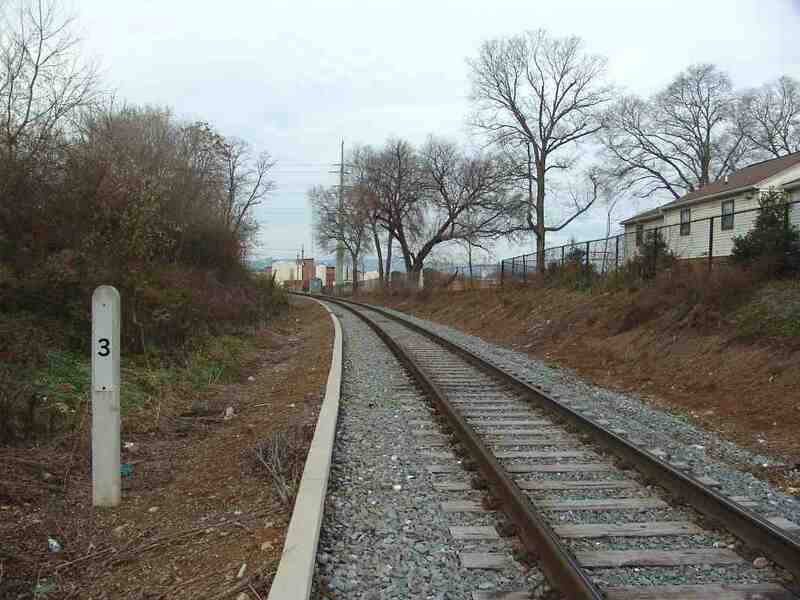 Also note that Google still labels a removed siding as belonging to the Baltimore and Ohio Railroad. The Branch's obsessive signage person did not fail to label MARC's yard, officially known as the Frederick Train Storage Yard. When MARC service began in 2001, they operated three morning and three evening trains to/from Washington, DC. That the middle train schedule-wise was (is?) the only one to employ bi-level coaches suggests it is the busiest. A stable of MARC iron horses relaxes on a late-fall weekend. Old friend MARC 57 appeared on this site's initial pages over 10 years ago. It's looking a bit more rusty now, but aren't we all? A complex intersection here at Genstar crossing #3 yields a bevy of signage and structures. Eastbound I-70, seen ahead left, dumps a ramp of auto traffic into this spot too. Looking back from Genstar crossing #4, this is the westermost location at which the OML (plus branches) and I-70 tango. 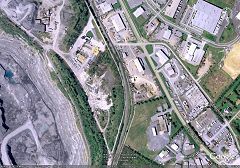 Before Genstar took over in the 1980s, the mining location unseen on the right was operated by the M.J. Grove Lime Company. Mileposts? Yep, got 'em. Curbs? Yep, got them too, but I have no idea why. 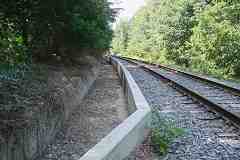 "The concrete curb is most likely used to keep the water, debris and dirt from the adjacent ditch out of the ballast. They must have an erosion problem here; reason why they used the curb. I have seen similar examples used on Metro-North RR's Hudson Line between Poughkeepsie and NYC." One of many rusty disused industrial sidings along the Branch. 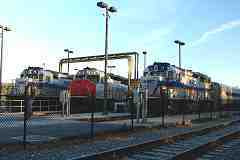 Sidings had served Southern States, Willard Chemical, and Potomac Edison among others. 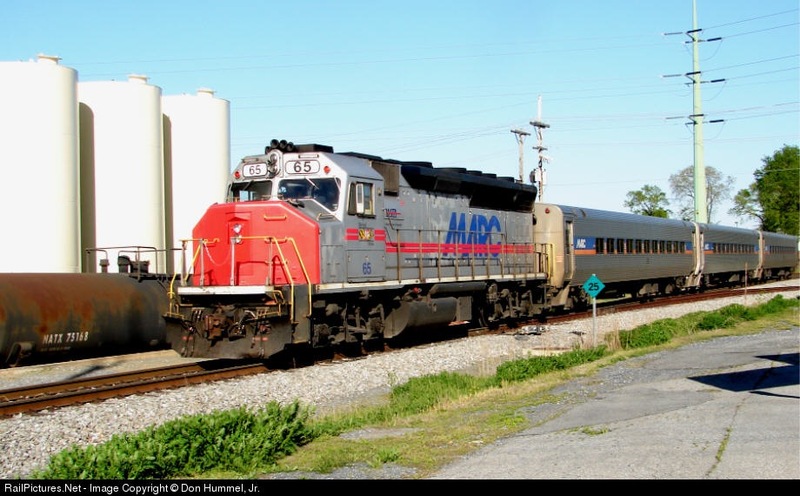 To my knowledge the last active freight customer was/is Wickes Lumber, back near Monocacy Station. Next stop Frederick Station. 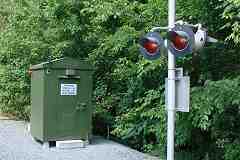 While freight traffic is in hibernation apparently MARC is free to use its personal favorite style of signal. 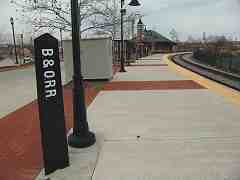 This post reminds waiting passengers that B&O turf ended here. The passenger terminal of the Hagerstown & Frederick Railway, an interurban line, sat on the north side of Carroll Creek, unseen just beyond the Frederick Rail Station ahead. 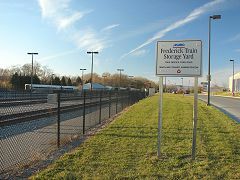 Frederick Rail Station as seen from its bus / kiss-and-ride exit onto South East Street. Hmmm, "buss and ride"? A bumper post from Rawie of Osnabruck, Germany says the Frederick Branch now ends here. 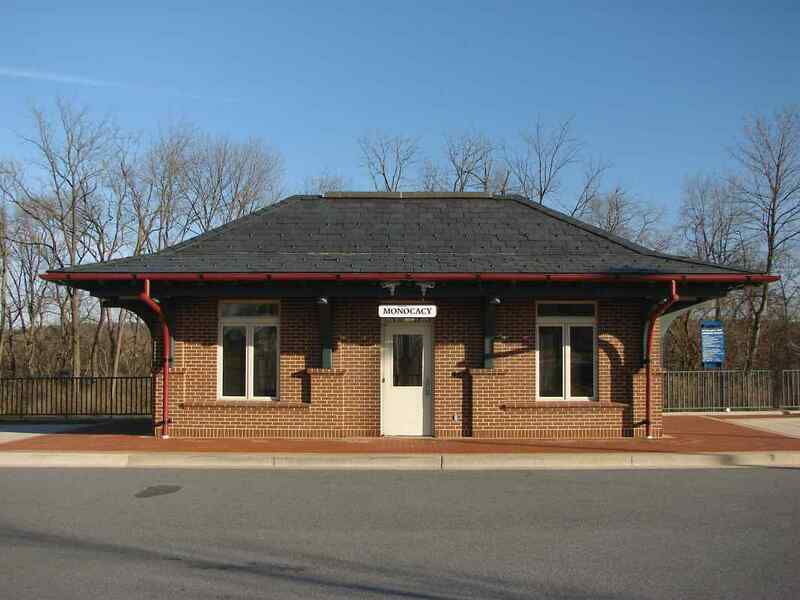 However, in prior centuries the Frederick Branch ended elsewhere. The B&O's trackage had curved, passing just right of the house at the right of this photo and continued west along East All Saints Street. Another side of the post lists the YH&F Railway. Intially I mistook this to represent the Hagerstown & Frederick Railway, but Herb Harwood, author of a book on the H&F, helped untangle the rails and my confusion. 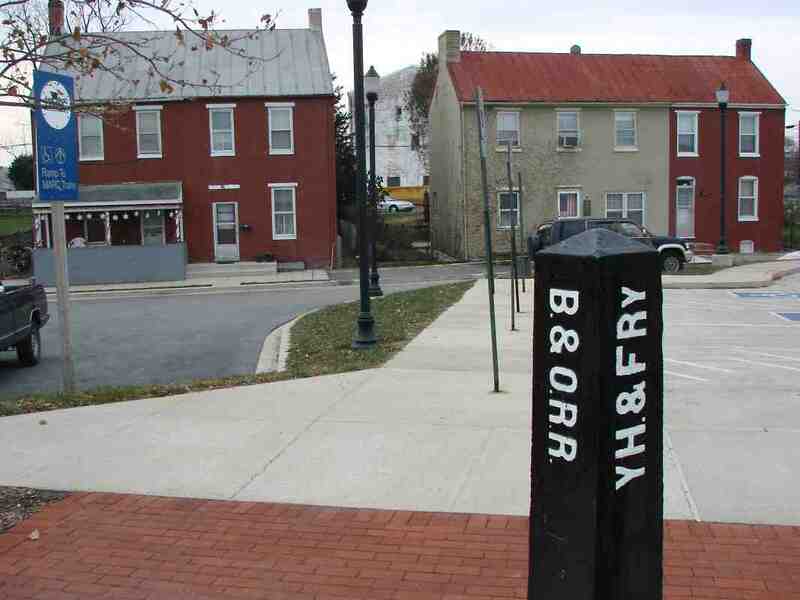 As he explained, YH&F stands for York, Hanover and Frederick, a branch of the Pennsylvania Railroad into Frederick that met the B&O here. Surviving relics of YH&F track can be found parallel to East Street north of 8th Street, then generally north to and through Taneytown, MD. Part of the route is now in railfan hands in the form of the Walkersville Southern tourist railroad. The empty area on the right marks where the B&O's first Frederick Station had opened in 1832. It survived until about 1911, hanging on as a freight facility after the railroad built a separate passenger station one block west on East All Saints Street. 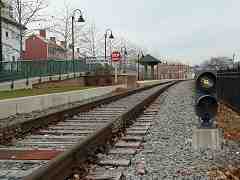 The brick structure at the distant center is the MARC Frederick Rail Station seen above in this tour. 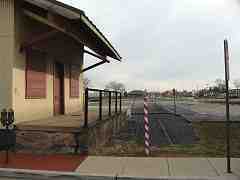 Soon after the first station came down in 1911, the B&O erected this small depot to handle freight. 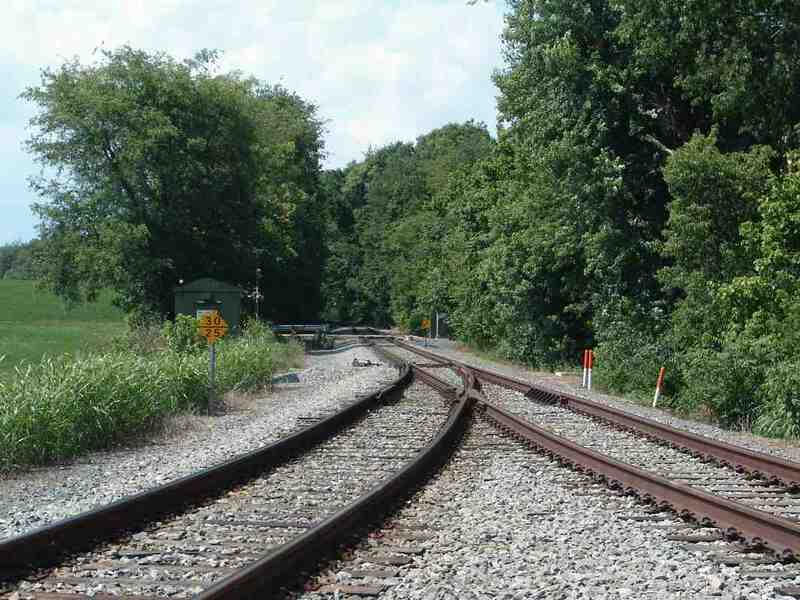 Note that rails are still visible here (bottom right); they saw use into at least the 1990s. As of 2009 there is new construction in this vicinity. 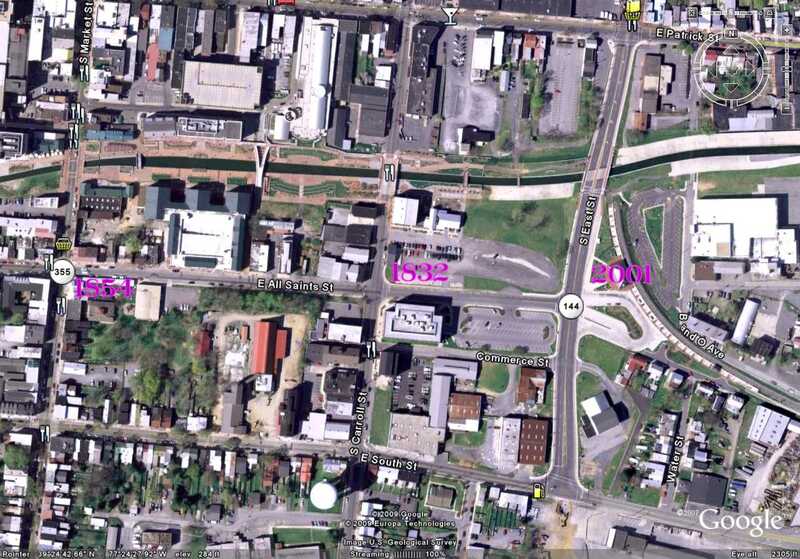 "The B&O Frederick freight station that you show is only the truncated remains of a much larger structure. 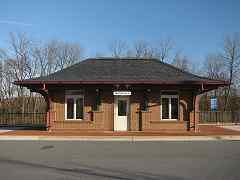 Until it was partially demolished, the station had the cupola from the original station atop its roof." 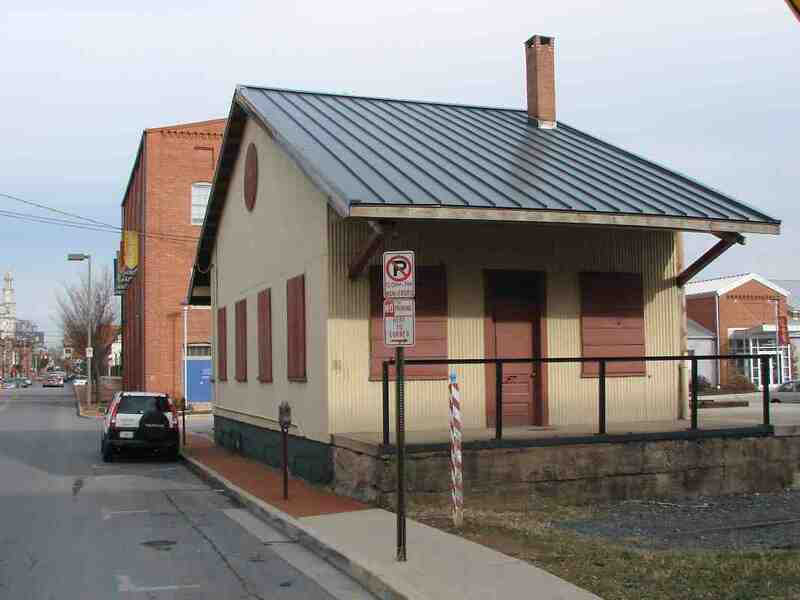 Following East All Saints Street a long block west from the freight depot brings us to the railroad's second station in Frederick; opened in 1854, it is the third-oldest surviving B&O station in Maryland. In 1892 the station was extended east and a canopy added for waiting passengers. The May 11, 1911 Baltimore Sun newspaper reported the city wanted a new station, writing "The Town Has Long Been Patient" but that never came to fruition. After cessation of passenger service in 1948, the station lived on as a food market and furniture store. 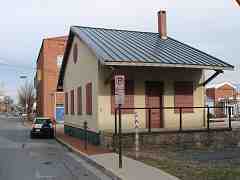 In 1979 it was restored to its original appearance, and is now home to the Frederick Community Action Agency. The station's Italianate architecture courtesy designers Niernsee and Neilson is best seen from this angle at Market Street. 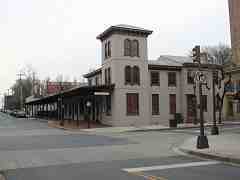 The B&O used a similarly styled station in Washington, DC before Union Station opened there in 1907. 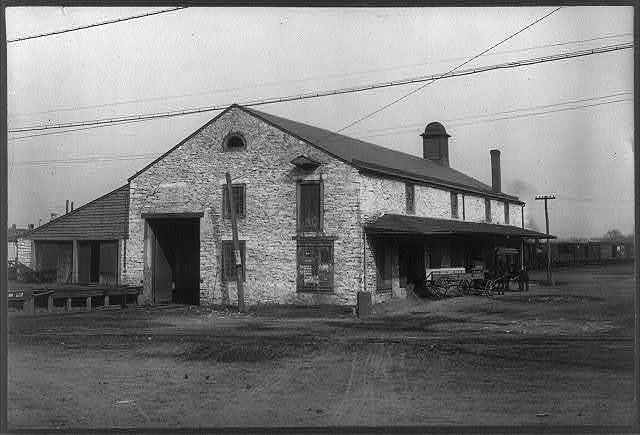 Prior to the renovation, a Civil War Centennial plaque on the building read "Baltimore and Ohio Railroad Depot - President Abraham Lincoln spoke from his special caboose at this depot before departing for Washington October 4, 1862 following his visit to the battlefields Antietam and South Mountain." Frederick's militia assembled here as the first group to respond to John Brown's October 1859 raid on Harper's Ferry, (West) Virginia. Frederick recently noted the 150th anniversary of that event. 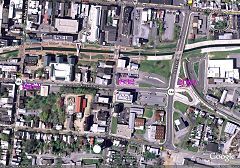 The years written on this satellite picture mark Frederick's three generations of B&O/MARC passenger stations.